A new year is starting and the echo of the Lucca Comics still resound in the air, so this time I wish to give you some advise on the new work presented in Italy last November of one of the best couple of scriptwriter/designer mangaka of recent years: Tsugumi Oba and Takeshi Obata. For those who do not know them or have only heard about I can only mention two titles: Death Note and Bakuman, their two previous works that have had planetary successes. 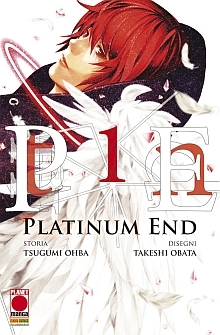 After a few years of rest break the two come back to collaborate on a project (in Japan start the serialization in 2015) that arrives in Italy full of expectations: Platinum End. The story centers on Mirai Kakehashi, a young boy who is an orphan of his parents and victim of the abuse of uncles who have adopted him. So Mirai decide to kill himself after the high school diploma ceremony. While he is about to jump out from an high palace he is saved by Nasse, his guardian angel, who gives him special powers that can give him a purpose in the life: wings to fly fast and an arrow to make a person fall in love with him for 33 days. Nasse warn Mirai about the fact that he isn’t the only one to have received these gifts but there are 13 people in the world who have been chosen by their respective angels to become the next God, a choice that will take place after 999 days. The boy begins to use his new powers in ways he never expected. As always the duo Oba / Obata is a sure synonym of quality as already established in previous works: you find drawings and animations in a clean and detailed style, accompanied by a complex and original story. 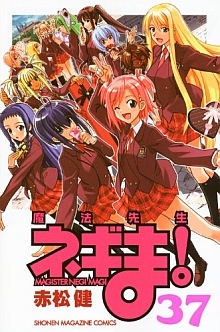 In this work, although there are no direct references, the supernatural elements of Death Note are pretty recurrent in different forms: the angels and the gods of death, few individuals able to see them, the supernatural powers that can often decide people's lives, the rules the angels must follow ... all quite important analogies. But as in any good dish, the elements can be recurring, the important thing is how they used it. The story runs fast and after few chapters the challenge between the aspiring Gods starts. 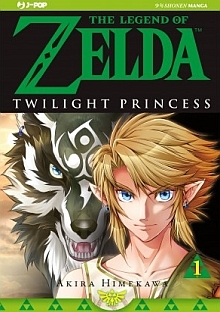 Personal situations and secondary characters’s plots are intertwined in the usual style of Oba where the action is balanced by thinking and planning. Also in this series the theme of death is an important theme that binds the stories of the main characters who attempted suicide, a phenomenon that unfortunately in Japan, despite the efforts of recent years, is still a scourge of the society. It’s evident the choice to insert in the history the element of the "pursuit of happiness", Nasse's declared goal towards Mirai (which in Japanese means "future") which should not surrender to his depression but keep looking a reason to live. 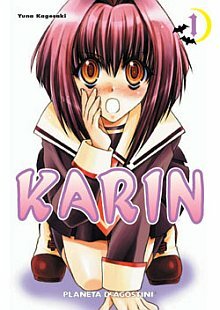 One of weak point in the manga is the lack of a prominent character that has an original and important characterization. Light Yagami is obviously one of the best characters ever and we cannot give a compare, but even in the previous Bakuman the duo Moritaka/Akito captured the reader for their peculiarities. Mirai instead appears a rather simple and stereotypical character, in some points of history makes even doubt that it is the real protagonist: only time and the continuation of serialization can say if he will have an important turn. If you love the style of the two mangaka and you are not afraid to feel a little sense of deja vu, Platinum End is sure an intriguing work.